Ultra-light Harris Bipods are lightning quick and quality manufactured with heat treated steel and hard alloys. 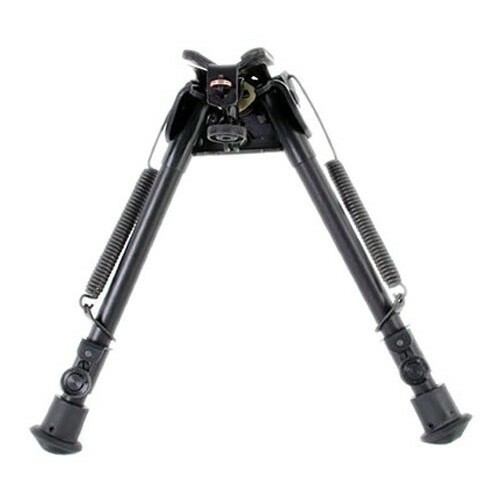 The bipods are quick-detachable and clamp to the Q.D. stud of bolt action rifles with conventional stock design. Carrying your rifle with a sling or shooting off-hand is not impeded by the use of a Harris Bipod. 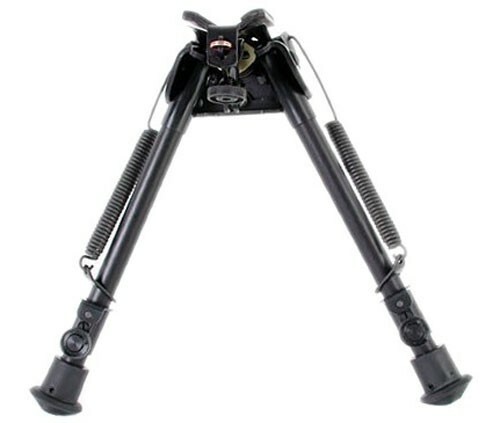 Hinged bases have tension adjustment to eliminate tremor or looseness in the crotch area of the bipod. Bipods have an all-weather black anodized finish. Hariss bipod is my first and I must say I am impressed by the quality and ease of installation. Shooting with a rifle equipped with a bipod Hariss is now a single pleasure. I recommend it to any long range shooter, hunter and sport shooter.